Legs is a bright green coloured frog with black and green button eyes. Legs will be the new friend you’ll make! Legs was introduced 8th January 1994. He was one of the original nine Beanie Babies. 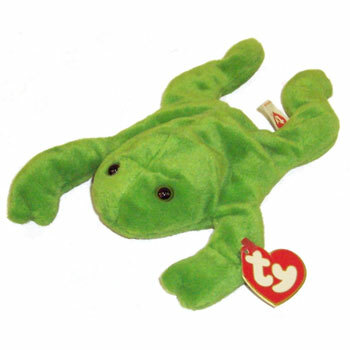 Legs was one of the easier Beanie Babies in the original nine to get hold of. He was retired on 1st October 1997.